Lock in a great price for Alpine Motor Inn – rated 8.1 by recent guests! The room was a good size and very clean. It was well appointed as it was a family suite ( toaster, microwave, kettle etc). Plenty of towels and pillows supplied. I would stay there again. 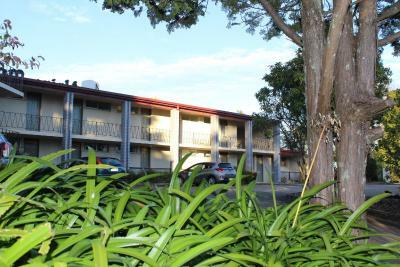 Fantastic Location right next to the freeway which makes it impossible to miss. 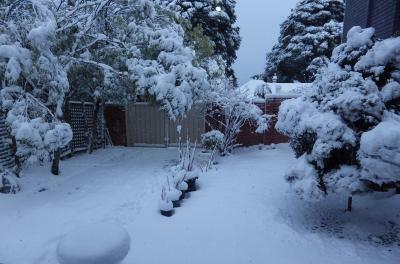 The motel was super close to Katoomba and a short 5min drive to Leura making a great base if you're in the area for hikes or if you need to pop down to the local woolies for snacks. Check in and check out was efficient and for me, we didn't even hear any noise from the highway. Pretty comfortable beds. The place is cold but heater is quite strong. Staff is friendly. Easy check in and check out. No problems with the staff. Perfect location. Clean. Plenty of parking. Good value. Comfortable rooms. For a Motor Inn it didn’t feel For a bit that it was a motel. Old deco however was very clean and even though located near the highway, it was super quiet and loved the bed. It was very comfortable. The family room was well equipped with necessities. 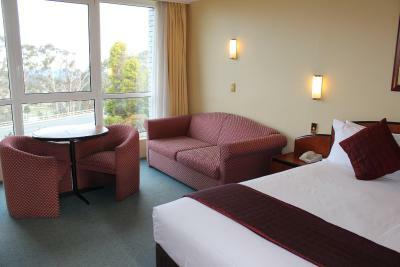 The room was very clean, and staff very helpful with questions about the area. Nice family room with fast wifi connection. 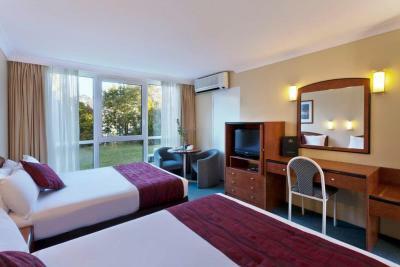 Cozy and spacious..
Nice comfortable room with nice décor, room with good layout, clean and reasonably comfortable bed. Every thing were supplied. Impressive for the price you paid for. It was worth it. 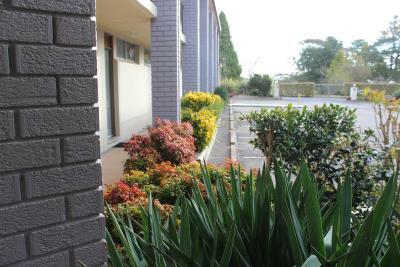 The property was convenient to Katoomba and Leura, and easy to find . 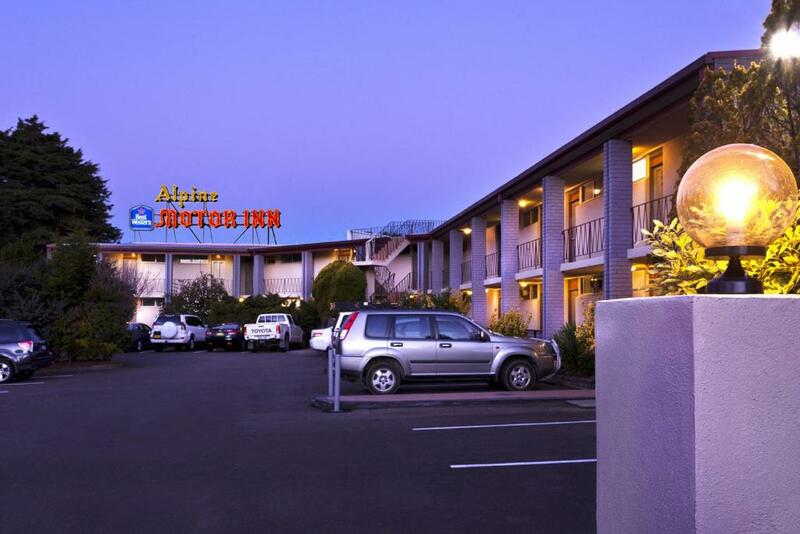 Alpine Motor Inn This rating is a reflection of how the property compares to the industry standard when it comes to price, facilities and services available. It's based on a self-evaluation by the property. Use this rating to help choose your stay! 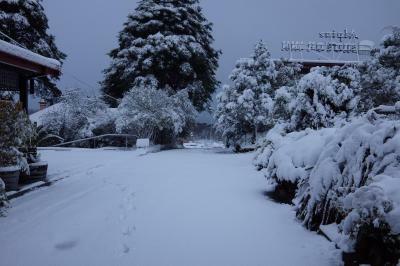 One of our top picks in Katoomba.Set within 3 acres of peaceful and secluded gardens, Alpine Motor Inn offers eco-friendly accommodations just 10 minutes’ drive from the natural attractions of the Blue Mountains National Park. Free in-room WiFi is included. 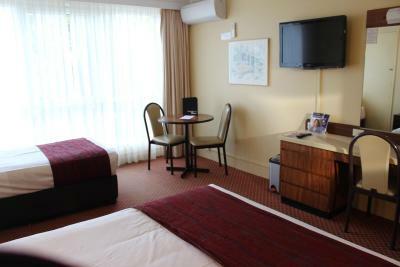 All rooms at Alpine Motor Inn Katoomba are nonsmoking and include private bathrooms, heating, air conditioning and flat-screen digital TV. High-speed wireless internet is available. 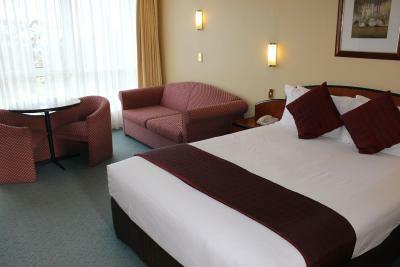 Guests can enjoy the on-site facilities, including free parking, public access internet terminal and room service. Restaurants and cafes are within walking distance. 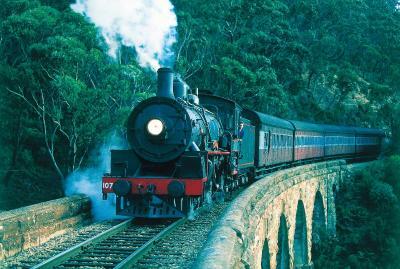 Katoomba Railway Station and the town’s main shopping center are only a 3-minute drive away. 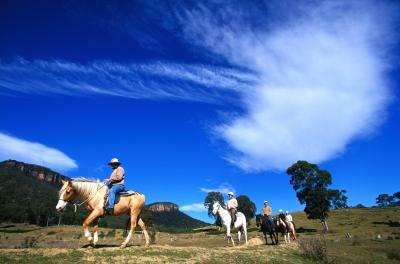 It is a 10-minute drive to Scenic World and hiking trails in the Jamison Valley. 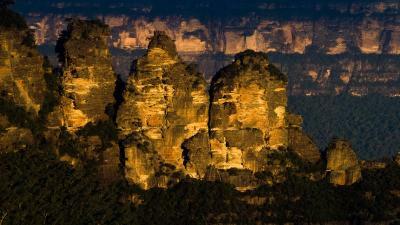 Guests are ideally located to explore the Three Sisters and Echo Point, only 8 minutes’ drive away. 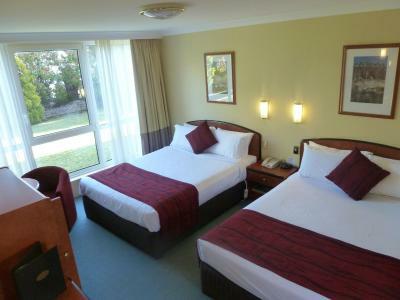 Jenolan Caves are 43 mi from Alpine Motor Inn. 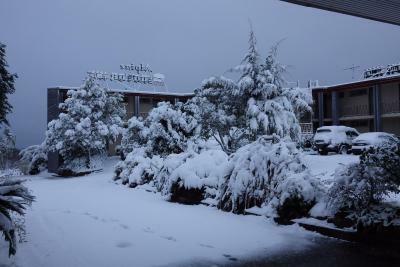 When would you like to stay at Alpine Motor Inn? 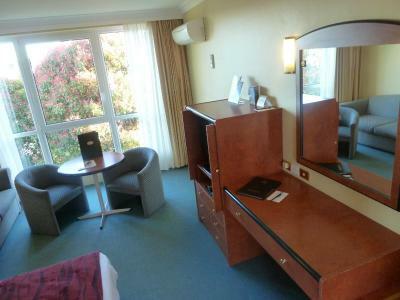 This large room features floor-to-ceiling, double glazed windows, tea/coffee making facilities and flat-screen digital TV. 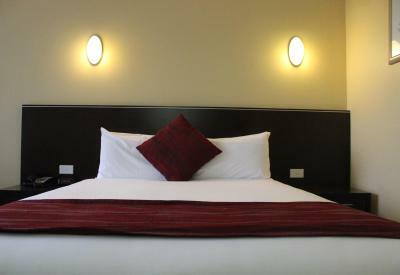 This room includes 1 queen-sized bed and 2 single-sized beds. It also includes a 32-inch flat-screen TV. This room features a flat-screen digital TV and a tile bathroom with a shower. Traveling to different countries sometimes has challenges and booking in Hotel where you have the owner of a hotel serving and helping you, makes that warm welcome special. To keep in touch with the people that care and will be there every time your return. 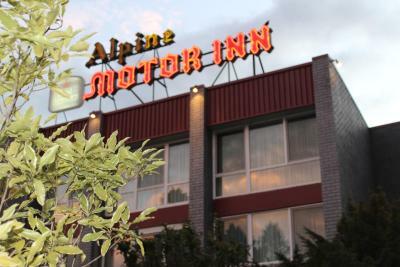 House Rules Alpine Motor Inn takes special requests – add in the next step! Alpine Motor Inn accepts these cards and reserves the right to temporarily hold an amount prior to arrival. Please note that room/apartment occupancies include children and infants. 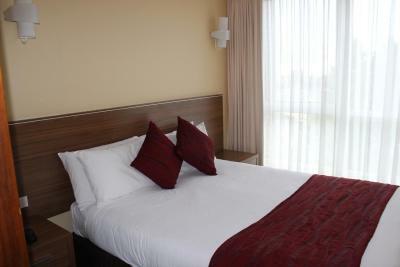 Please note that extra beds are only available upon request, and availability needs to be confirmed by the hotel. 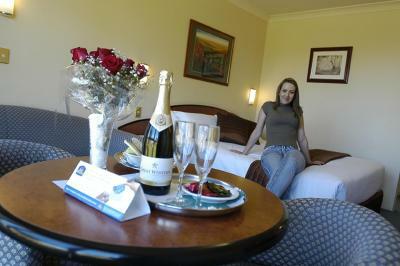 Guests can contact the hotel for more information using the contact details on the booking confirmation. 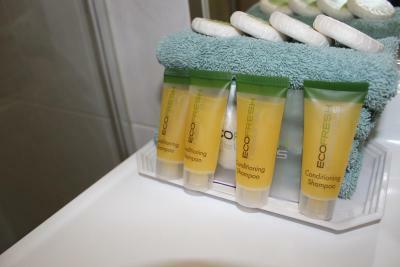 Please note that charges for additional beds will not be calculated automatically in the total cost, and must be paid separately at the hotel. 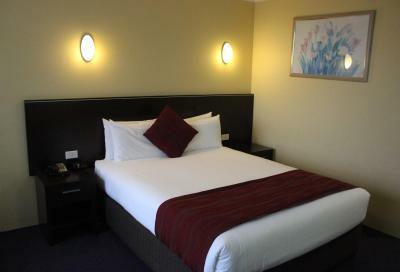 Location is in the centre of Katoomba and the room is really clean and tidy. Bathroom exhaust fan was not working. Windows were hard to open or broken. Location and size of property. Good thing they have microwave there. Handy with kids. Family rooms has privacy. Shower was literally running hot and cold for the three nights we were there. You could clearly hear people in the adjacent room going to the toilet at night and it seemed liked itcwas right next to your ear when in bed. 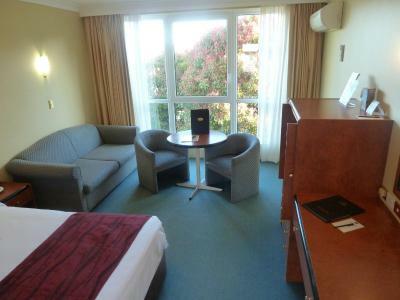 The window double glazing was ineffective as you could clearly hear the traffic noise from The Great Western Highway. Although the walls between adjacent rooms were solid brick/concrete you could clearly hear people talking next door. Didn't get offered breakfast. did not know you could get breakfast. Cups where absolutely tiny for a cup of tea/coffee! Bathroom very small. Great clean bedding, excellent location. Reception staff very helpful. The toilet is quite cold because the window inside the toilet is a bit open and it's hard to reach, so the cold evening air gets inside the toilet. Great location! 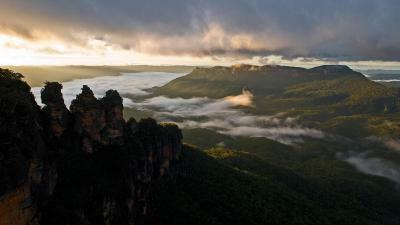 It's a 10-minute leisurely walk from the Katoomba train station. If you're taking the Explorer Bus, there's also a stop near the location. Staff is friendly, accommodating, and efficient. 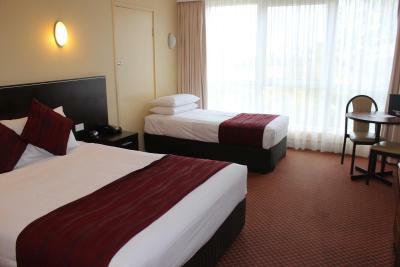 The room was large and cosy, very clean facilities and friendly feeling. 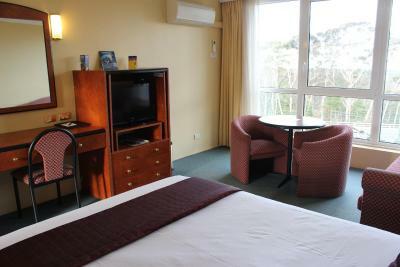 Clean tidy room great position to the great western highway. A meal available very close.